After the American people voted “Change” for their country and the world, the global “Status Quo” retaliates: At G-20 Finance Conference in New York on 11/15 it plans “New World Order” to derail the Obama government. The victory of the movement of change in the US elections threatens the global status quo and its economic base – the oil and drug cartel. The sympathy and hope that unites people around the world with president-elect Obama poses an even bigger threat to them: a global domino effect encouraging peoples around the world to challenge these global interests. 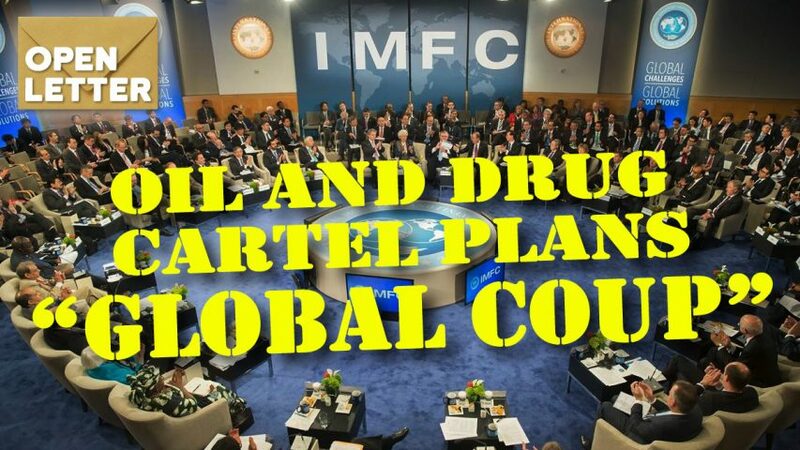 In his last days of power, George Bush – together with Sarkozy, Merkel and other foreign cartel stakeholders – are trying to orchestrate through the International Monetary Fund (IMF) what amounts not just to a coup d’etat, but to a “global coup”. The exposure of this coup in this newspaper will render these plans void and help the movement of change to go forward. Define the IMF as the key instrument to economically control world affairs. Establish the European Union (EU) as the cartel’s political IMF spearhead and France as its nuclear, military enforcer. Use the new IMF power to arbitarily prolong the economic crisis in the US. Implement a “scorched earth” strategy to punish voters, derail the new government and deter other nations. These goals are pursued under the pretext of an economic crisis, advocacy for the developing world – and all before the Obama administration even takes office. For about a century the rule of the oil and drug cartel was compatible with democracy. But the oil business could last only as long as renewable energies were hidden from the public. Four decades ago, the space age began with rockets propelled by hydrogen (water) energy – but we never learned that this energy can also run cars, heat houses and light cities. Similarly, the drug investment business – which thrives on expanding diseases as markets for patented drugs – could only exist so long as it was hidden behind false promises of cures. In the 21st century, these fraudulent business models – the status quo’s economic base – are no longer compatible with democracy. The IMF coup is designed to defend this status quo. France’s Sarkozy was brought to power by the oil/drug cartel and is its despera te response to a world determined to end the tyranny of oil. On October 18, 2008 – in the shadow of the US election’s final weeks – Sarkozy met with George Bush to set the date for the coup: the G-20 IMF meeting in New York on November 15, 2008. 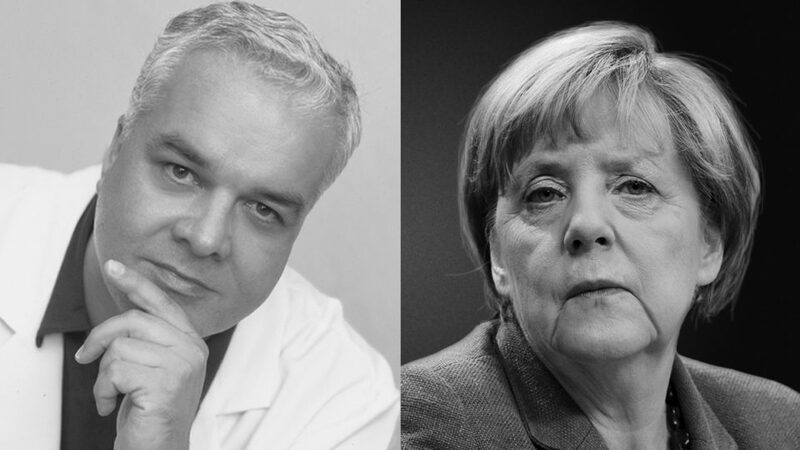 Germany’s Merkel was brought to power by the German drug cartel. During the past weeks, Merkel – together with Sarkozy – has been bullying European and Asian countries into participating in this coup under the pretext of fighting the financial crisis. UK’s Brown, their accomplice, has recently promised the Gulf States a “bigger say” in the IMF. Without any authority, Brown guaranteed these states a part of the “booty” – i.e. US voting shares in the IMF – in return for participating in the coup. The first mention of such a pan-European cartel organization appeared in the plans of the Nazi/IG Farben coalition for a post-WWII Europe contolled by them. IG Farben was the infamous oil and drug cartel that had financed the rise of the Nazis to power and the preparations for WWII, in search of world conquest. Details are documented in US Senate records. By exposing to the world this coup against the movement of change – and the role the Brussels EU played in it – this cartel hideout can no longer survive in a democratic world. The public exposure of this global coup by the oil and drug cartel will make this coup impossible. The movement of change and its leaders are obviously being tested even before taking office. This information should help them to master this challenge and continue changing the world. Government leaders who were bullied by the stakeholders of the oil and drug cartel into participating in this coup now have an opportunity to step back. If they decide not to do so, they can now be held responsible by their people. No-one can say “we didn’t know.” The process of change is irreversible! Some of the most important documents to study the history of the oil and drug cartel are the records from the 1945 US Congress hearing about its role behind WWII (www.profit-over-life.org/farben-hearings). Even more amazing is the fact that these records have been hidden away from the public for more than 6 decades. There is only one explanation for that: These globally operating interests have not given up their plans for world control, as testified on this page. Making these US-Congress documents part of history lessons in every school is a precondition for the movement of change to reach its long term goals.